The VMC team that went to Burundi and Kenya in July. L to R: Gord Martin, Shaun Kernaghan, Chris Atkinson, Brian Larmour, Doug Loveday, John Mackie. June 27th to July 16th 2013, six leaders from Vision Ministries Canada visited Christian brothers and sisters in Burundi and Kenya for their second annual ministry and teaching trip. The first Sunday they arrived, team members preached at six different churches in the city of Bujumbura, Burundi. The services were about three hours long. The church at which Gord Martin preached had about 400 people in attendance (about average for churches there). At lunch that day, the team met with about 60 people at a church that is still very much under construction—in faith they are building it to hold 2,500 people. In the afternoon youth from the churches in Bujumbura held an outreach with high-powered music, lots of movement/dancing and a short talk which was attended by about 600 people. A newly erected church roof in Burundi. While in Burundi, the team revisited churches they had seen last year that had only walls but no roofs. This year, the congregations had managed to erect roofs. One newly constructed roof was blown away in a storm. Though they had lost their own homes and crops, congregation members replaced the roof of the church before repairing their homes! One Sunday, the team drove to a refugee camp near the Tanzanian border which is home to about 4000 Burundians displaced by war. Chris preached at a church that was recently started in the camp. “This was one of the poorest churches I have ever seen, but did those people sing!” says Gord Martin. Once again, I was immensely struck with the faith, devotion, commitment and sacrificial service of our African brothers and sisters, in both Burundi and Kenya, to the kingdom of God and the cause of Christ. We in Canada have so much to learn from their example. Doug Loveday teaching on marriage in Burundi. Brian and Gord spent about 15 hours over five sessions with the board of the CEEM (Community of Emmanuel churches in Burundi). At the end of the week, CEEM and VMC signed an official partnership agreement for the next two years. VMC agreed to send teaching teams and help CEEM with funds for building projects. In return CEEM leaders and churches will inspire the VMC network with their astonishing faith and ability to pray. The larger group of leaders was thrilled when the partnership was announced. Farewell chats and prayers were very special! The experience was amazing, the poverty is overwhelming, the needs are great, and the people are incredibly inspiring. Their hunger for biblical teaching, their desire for partnership, and their deep love and passion for Jesus are contagious. We will never be the same. The team spent their second week in Nairobi teaching and consulting with about 75 leaders from churches connected to Vision Ministries Kenya (VMK). Teaching sessions were held at Pan Africa Christian University. Brian and Gord consulted with the VMK board for about eight hours. Gord taught the larger group on spiritual church leadership. “The Kenyan leaders have been very receptive and appreciative,” says Gord. One night at supper Gord chatted with a man who started a new church in January in a Nairobi slum with six people—now there about 70 members. The man was an alcoholic until 1999 when he was dramatically changed by an encounter with God. Every day VMC team members heard stories about lives that were so different from their own. I was blessed by our African brothers and sisters who prayed for my step mother when they heard of her challenges with cancer. There was no hesitation to ask God for a miracle. The African believers exhibit a great deal of faith in the supernatural realm which we sometimes forget. While statistics like size of congregation, budget, or building provide insight into a church, they don't always reveal whether a congregation has been swept up into God's mission for their lives. This course will explore a biblical vision of the Church and experiment with new ways of thinking and living as God’s people caught up in his mission. 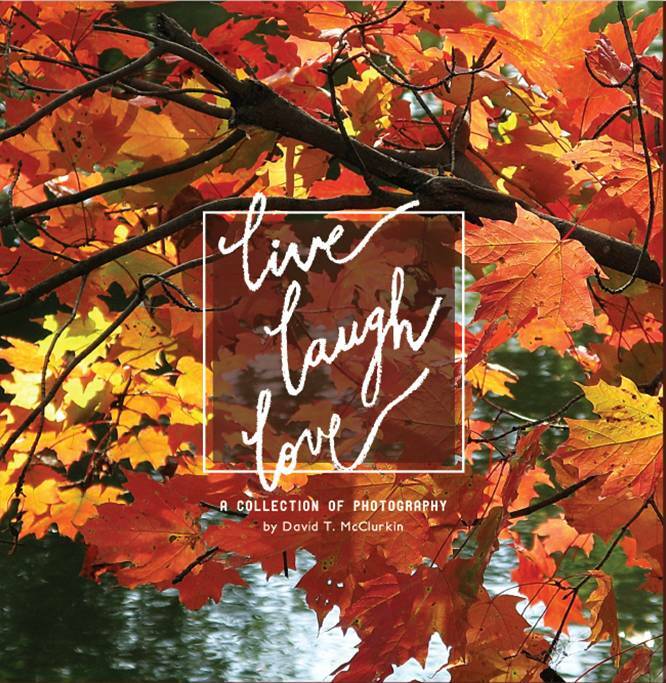 Featuring David McClurkin’s most exceptional photographs, a coffee-table book lovingly bound together by his family. Included are his many "Verse of the Year" quotes, plus all manner of McClurkinisms. Join us for refreshments and an entertaining evening. Program begins promptly at 7 pm; book sales at 8 pm. All funds raised will go towards VMC’s Moving the Mission Forward, a project that Dave was especially keen about.